Swinburne has launched one of the most powerful computers in the country in a bid to help unlock the secrets of the Universe. 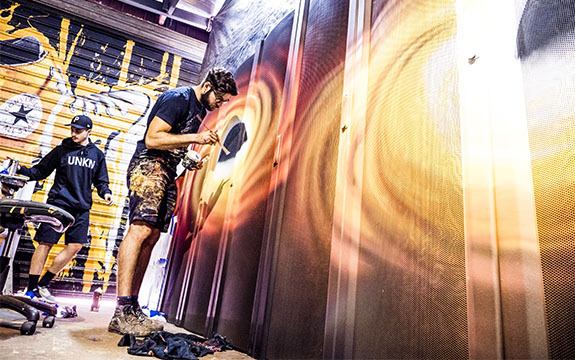 The new $4 million supercomputer, OzSTAR, is based at Swinburne’s Hawthorn campus and features a performance peak of 1.2 petaflops. 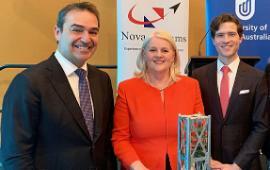 The computer, powered by Dell EMC, launches Swinburne into the petascale era of supercomputing and will enable the Swinburne-based Australian Research Council Centre of Excellence for Gravitational Wave Discovery’s (OzGrav) to search for gravitational waves and study the extreme physics of black holes and warped spacetime. 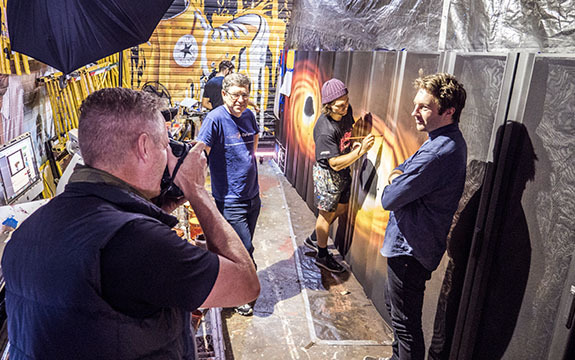 The supercomputer features custom artwork designed by Swinburne graduate Justin Pedler (right) and visual arts agency Apparition Media. The finished design features gas swirling around two black holes. 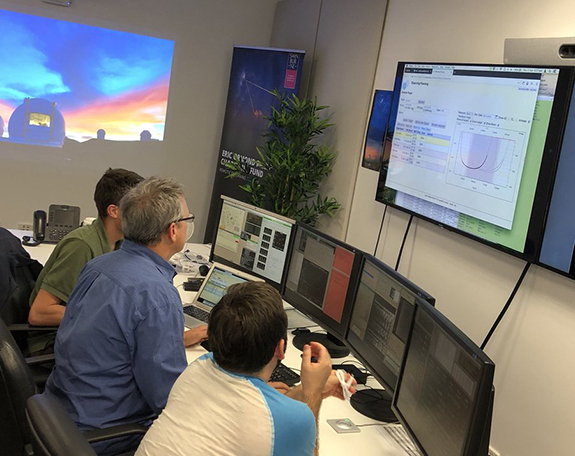 OzGrav Director, Professor Matthew Bailes, says OzSTAR will be used to shift through reams of data and be powerful enough to search for coalescing black holes and neutron stars in real time. “In one second, OzSTAR can perform 10,000 calculations for every one of the 100 billion starts in our galaxy,” says Professor Bailes. Manager of the supercomputer, Professor Jarrod Hurley, says OzSTAR maintains Swinburne as an academic leader in supercomputing with a focus on hybrid CPU-GPU technology across the system. He says the supercomputer will also be key in enabling Swinburne’s Data Science Research Institute to tackle future data science challenges such as machine learning, deep learning, database interrogation and visualisation. Gravitational waves were first predicted 100 years ago by Albert Einstein in his theory of General Relativity, which described how gravity warps and distorts space-time. Einstein’s mathematics showed that massive accelerating objects (such as neutron stars or black holes orbiting each other) distort both space and time and emit a new type of radiation, known as gravitational waves. But these gravitational waves remained undetected for a century until advances in detector sensitivity at the Advanced Laser Interferometer Gravitational-Wave Observatory (aLIGO) in the US enabled their detection in September 2015. Shortly after being switched on, aLIGO physically sensed distortions in space-time itself caused by passing gravitational waves generated by two colliding black holes nearly 1.3 billion light years away that moved its mirrors by just 1/10000th of the width of a proton. 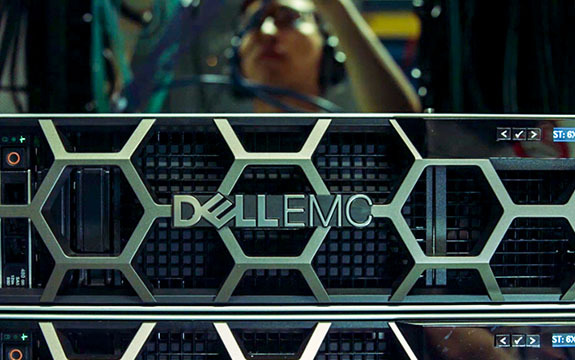 The supercomputer features 4140 SkyLake cores at 2.3Ghz across 107 standard compute and eight data crunching nodes, 230 NVIDIA Tesla P100 12 GB GPUs, 272 Intel Xeon Phi cores at 1.6Ghz across four C6320pKNL nodes, a high speed low latency network fabric able to move data across each building block at over 100Gbps with various features to ensure reliability and traffic flow and 5 petabyte of usable storage via the Lustre ZFS file system at 30GB/s throughput. Galaxies in the early universe tend to be young and carefree. They have plenty of gas, and set about vigorously forming lots of stars. As a galaxy gets older though, it starts to run out of gas and becomes quiescent, no longer forming stars (see these bites for more details on quiescent galaxies). Theorists predict that it takes at least a few gigayears to deplete the gas, and this can be sped up by mergers and interactions with other galaxies. So, the further away we look (which corresponds to looking further back in time) the fewer quiescent galaxies we expect to see. 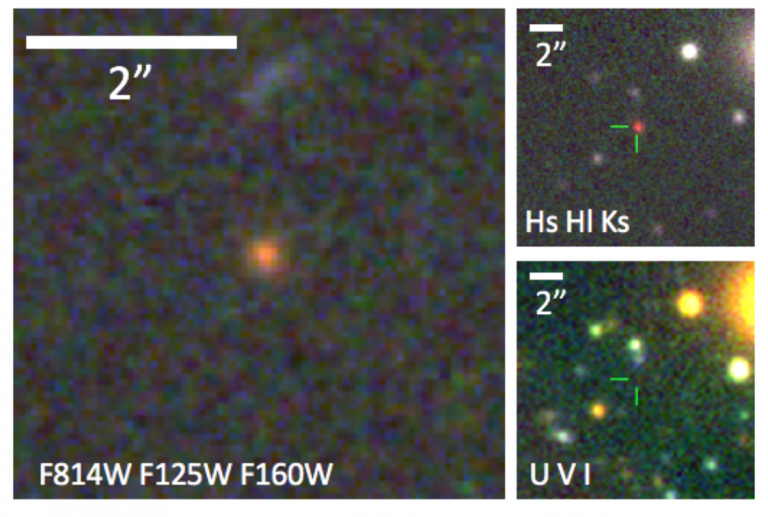 Today’s paper is about the snappily named ZF-COSMOS-20115, a quiescent galaxy at the unusually high redshift of 3.7, around one and a half billion years after the big bang. It has a mass equivalent to 170 billion suns, making it one of the most massive galaxies at this point in the universe’s history (much bigger than other similarly quiescent galaxies at this time), but it’s also very compact, less than a kiloparsec across (in comparison, our own Milky Way is ~ 50 kiloparsecs across). How did ZF-COSMOS-20115 become quiescent so quickly after forming, and is it a challenge to our current understanding of galaxy evolution? Figure 1: Images of ZF-COSMOS-20115 with the Hubble Space Telescope (left panel), and from ground based telescopes (right panels). The left and top right images show the near-infrared, and the galaxy is clearly visible. In bottom right panel, showing visible light, the galaxy is undetected. In order for this galaxy to have formed so many stars and then become quiescent it must have had an enormous burst of star formation very early in its history. The authors speculate that such a burst could have been caused by a major merger between two similarly sized galaxies. Such a violent collision would have caused a huge amount of star formation in a relatively short period of time, sufficient to use up the gas reserves of both galaxies and prevent any further star formation after the merger.